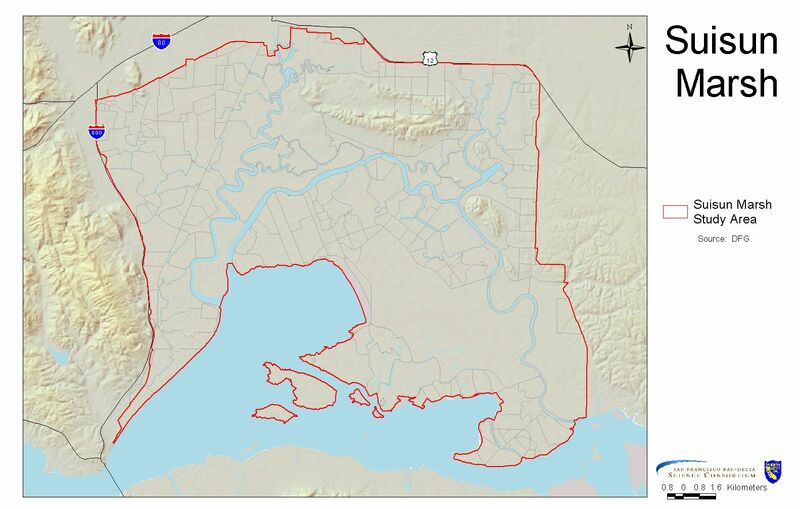 Suisun Marsh is the largest contiguous brackish water marsh remaining on the west coast of North America. It serves as the resting and feeding ground for thousands of waterfowl migrating on the Pacific Flyway and provides essential habitat for more than 221 bird species, 45 mammal species, 16 different reptilian and amphibian species, and more than 40 fish species. The Marsh supports sensitive plant species such as the Suisun thistle, which is a Marsh endemic and found nowhere else in the world. 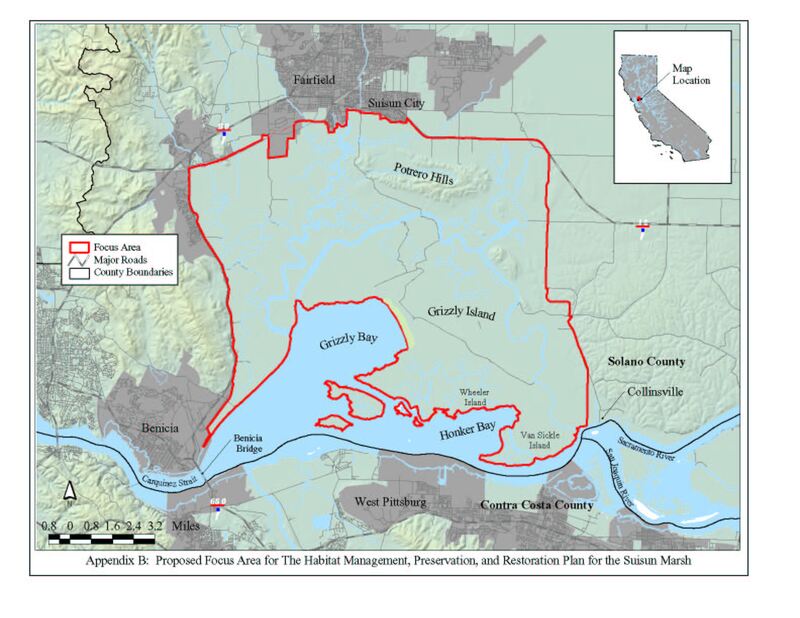 In recent decades, the diversity of wetland management objectives and demands in Suisun Marsh has expanded dramatically and the regulatory environment affecting Suisun has continually evolved. Local land use management efforts to maintain the wetlands and to address degradation have generated conflicts with endangered species programs. 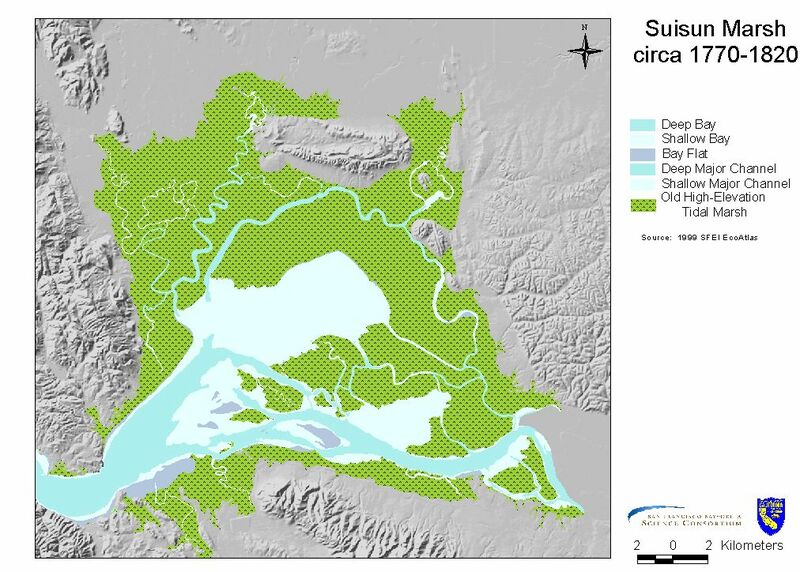 The Suisun Marsh Charter was formed to develop a regional plan that balances the goals of the multiple and often conflicting management and restoration programs such as the CALFED Ecosystem Restoration Program and endangered species recovery efforts within Suisun Marsh in a manner responsive to the concerns of stakeholders and based upon voluntary participation by private land-owners. 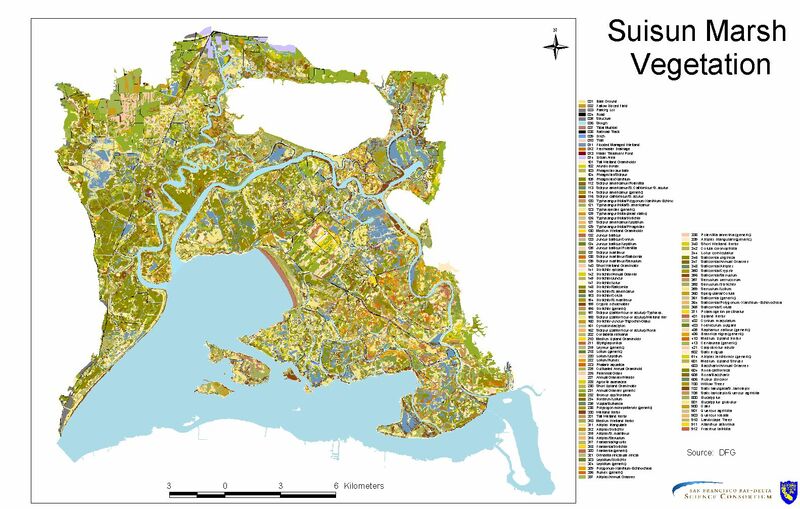 It is critical that the best available interdisciplinary science, reflective of the complexity and depth of the wetland ecosystem itself, be integrated into this regional plan. 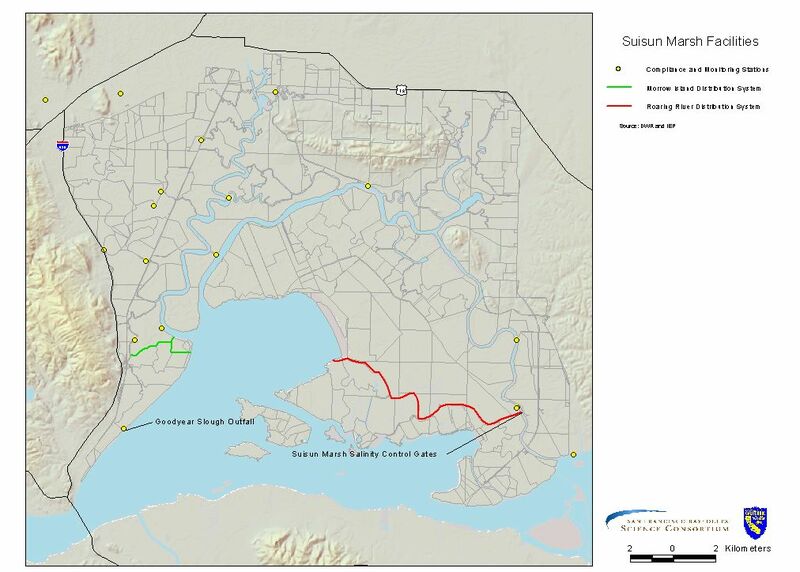 This atlas provides information we believe will be helpful in addressing the complex issues in the Suisun Marsh. 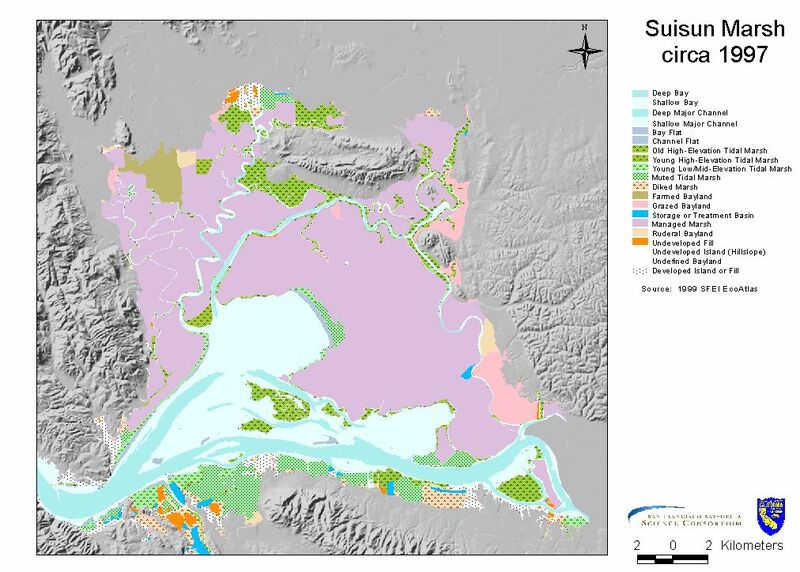 The topographic map provides a general overview of the Suisun Marsh using a thirty meter digital elevation model. 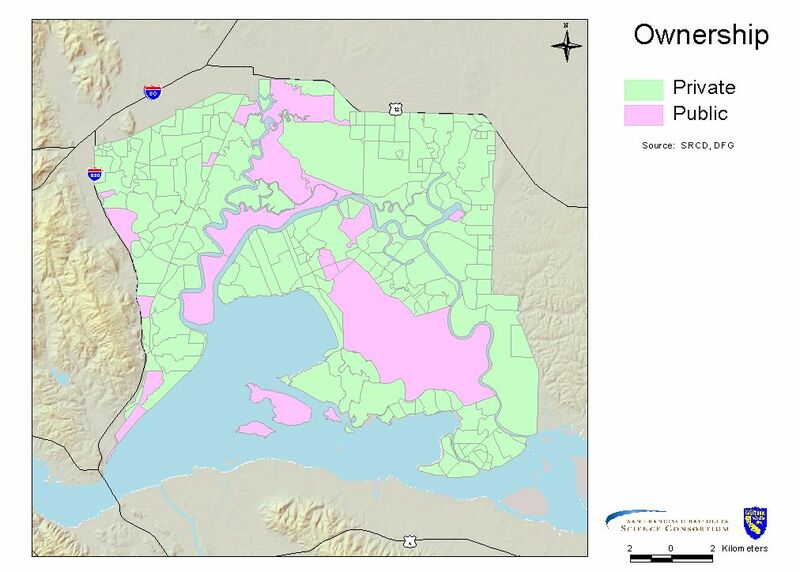 The ownership map depicts private versus publicly owned lands in Suisun Marsh. 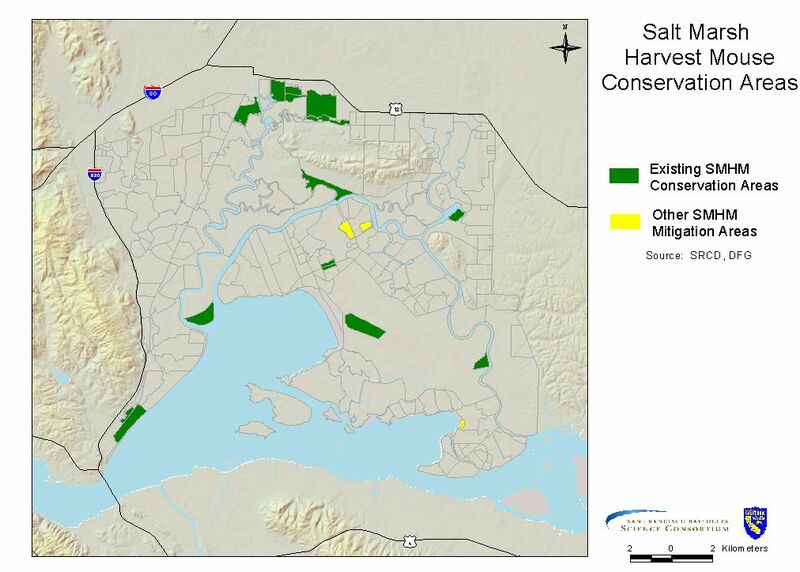 The conservation area map shows the locations of saltmarsh harvest mouse conservation areas. 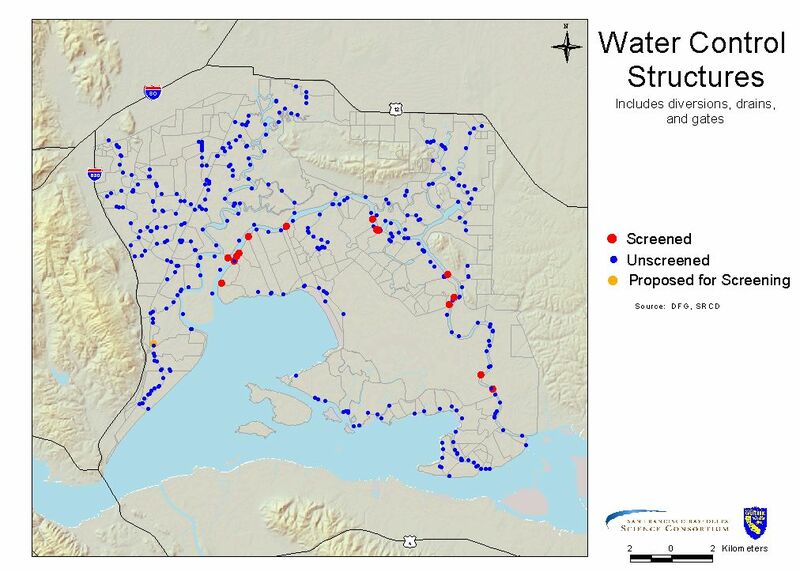 The facilities map shows major water facilities in the Suisun Marsh as well as compliance and monitoring stations. The water control structures layer includes drains, diversions, and gates. 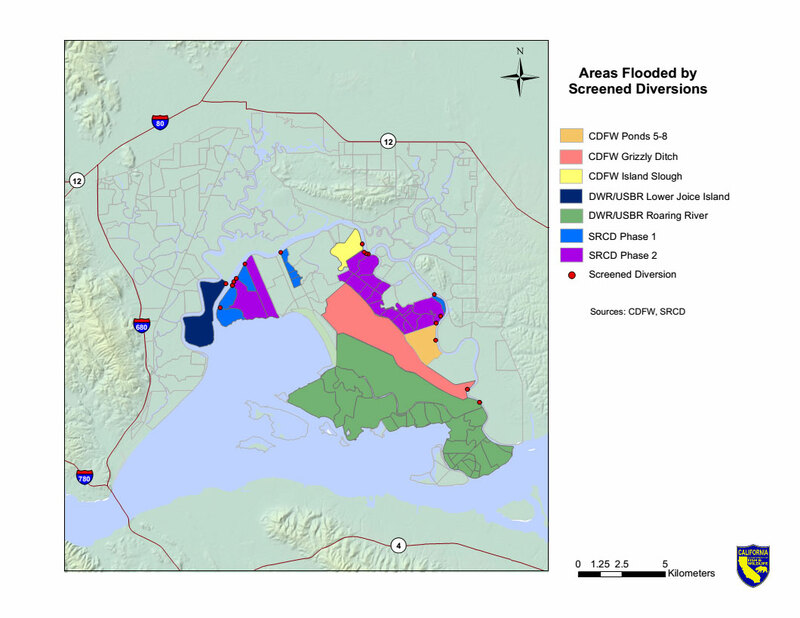 This map depicts the lands in Suisun Marsh flooded using screened diversions. 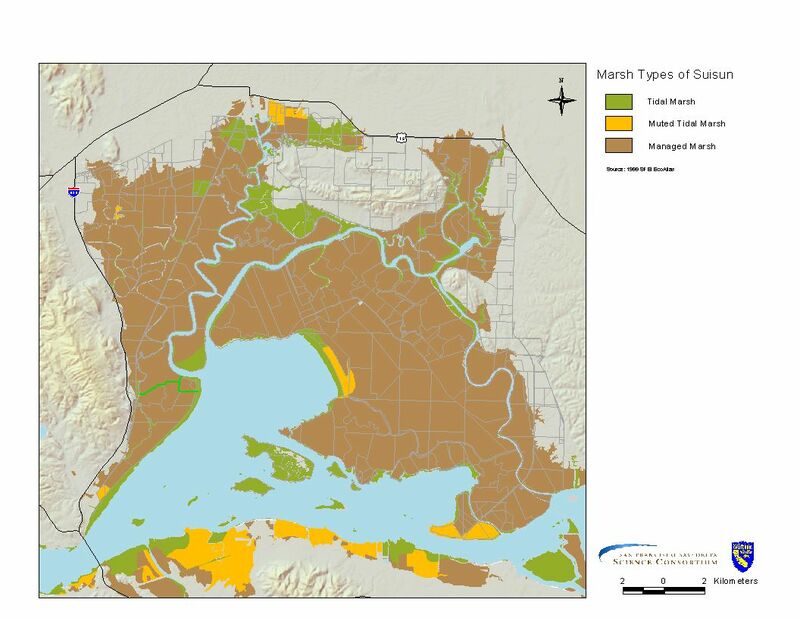 Detailed vegetation map of the Suisun Marsh. 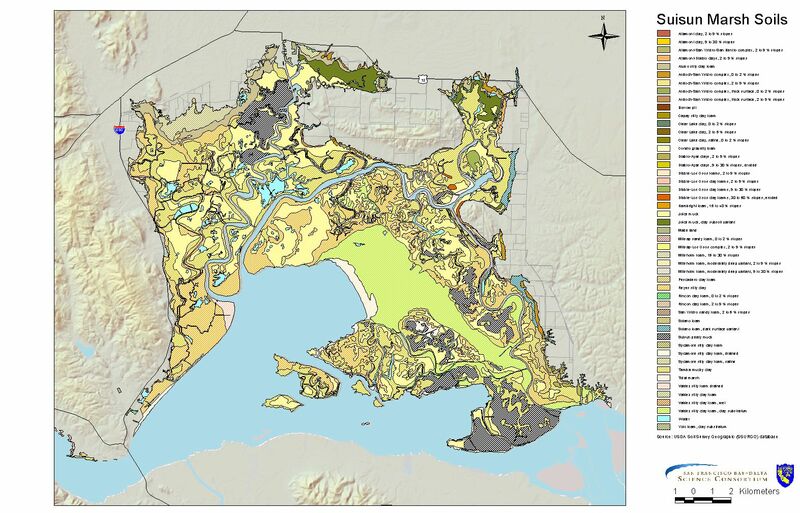 Maps taken directly from the San Francisco Estuary Institute's EcoAtlas version 1.50b4. See map notes for data sources details.